I’ve realised I’ve never ever done a proper review on a lipstick on the blog before, so why not start today, with a rediscovered favourite. Limited edition from the Tartan Tale collection from Christmas 2010. Looking back I think this was probably one of the first major Mac collections which I was aware of/excited for purely as I’d started blogging. However strangely enough, I never actually purchased from the collection even though I wanted this lipstick. However Ellie came to the rescue and said she would sell me hers as she had only used it a handful of times. 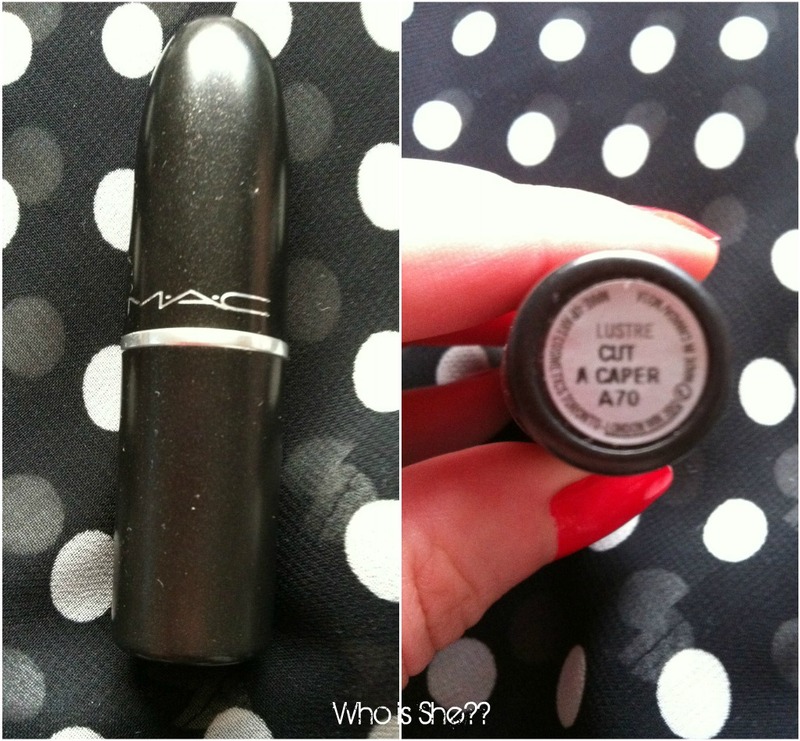 Many people have compared this to Mac’s Ever Hip (yet another limited edition lipstick I missed out on), however many have said that Cut-a-Caper is more peachy than Ever Hip. However as I don’t own EH I can’t personally make the comparison. This lipstick has one of my favourite Mac finishes- lustre, and provides my lips with a light coral shine. If you wanted a Mac comparison I would say it’s a very toned down version of Costa Chic. I normally wear this lipstick during the day (not for work) with a very neutral eye. Personally the only time I have ever worn this on a night out was in Tenerife (the first time), never back home, as I just don’t feel like it suits me. However I have found a dupe for this lipstick (or what is close to it), Barry M lip paint in 147. 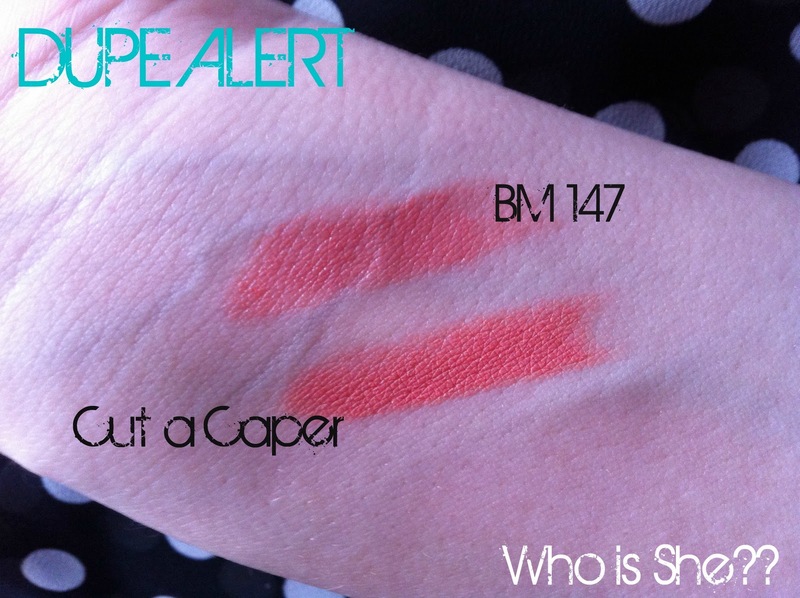 As you can see Cut a Caper looks more "coral" compared to Barry M, and BM looks more "reddy" based. However on my lips, I would say Barry M looks more coral than Cut-a-Caper- bizarre or what. If you recall reading my holiday favourites post you will have remembered me saying that the BM 147 bullet vanished into thin air, gutted wasn’t the world. However I now have a back up, even though its never been touched since being back in this county (bar that swatch). I really need to start wearing Cut-a-Caper more often, however I’m worried that I’ll either loose it, or it’ll snap. Fingers crossed Mac will re-release it in a future collection. How do you wear coral lipsticks? ?